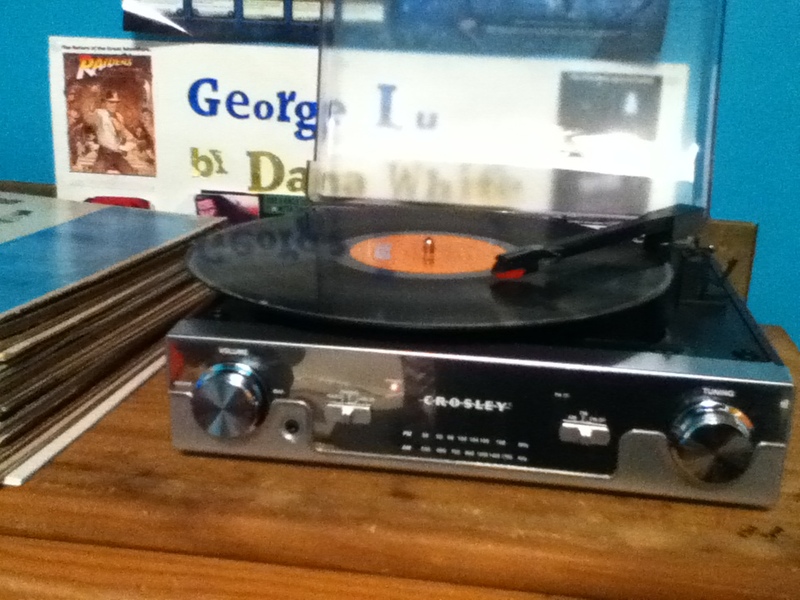 I decided to get back into collecting and listening to vinyl albums but have been with a record player since about 1993-94 and so I began to shop around for a used player, something with a bit of character to it and that had been refurbished or one that I could fix up myself. After searching for a good six months or so, I couldn't find what I was looking for but found a good number of modern players that had retro looks to them. 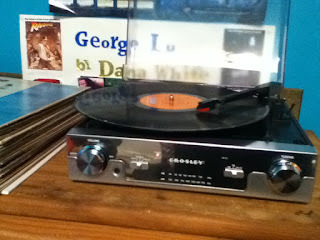 I couldn't spend a lot so I researched what was out there and went with the Tech Turntable from Crosley. For $70.00 I wasn't expecting a high quality machine. The reviews for this particular record player were dismal, if anything I could send it back, and exchange it for different model. I set the player up yesterday and gave it a go. As most of the reviews stated, the player is built as cheaply as possible and it shows that with no end. I wasn't expecting a high end turntable and I found myself pleasantly surprised with what I got while still having some worries for down the road that may end up being nothing. For starters the platter wobbles more than I remember seeing any other player do. It's a slow, gentle wobble and doesn't look to bad, but you can see it and I'm paranoid that it might get worse. I've already leveled the player and will taking another look at that to make sure I got it right. While listening to some albums there were no jumps, skips or speed variations. The tonearm is the switch to turn the player motor off and on. That's fine, I've dealt with that before, but the hard click sound when this one is turned off and on scares me into thinking the arm is going to fall off or the switch will break. I listened to four albums in their entirety and the sound was fine for this level of machine, perfect for a small office or den with no major background noise to compete with. It's not super crisp, clean and loud but it gets the job done. I'm going to try plugging the player into the surround sound and see how that differs, I have read of other people's experiences with that and they all said the sound degraded. I'll report on that later. Other features include an AM/FM radio, but living where I do almost in the middle of South Bend and Chicago, most of the stations cross each other out. The two local stations come in fine and I can get all of my AM sports talk with no problems. The player also has an auxiliary line in, I don't know why you would want to do that with these speakers, but the option is there. With all of that said, this player isn't too bad. It's a decent starter player to have while saving up for something of higher quality. I think most of the negative reviews I've seen may have come from people with higher expectations, but I will report back on how this player is holding up in a few weeks.